Born in Abilene, Texas, I grew up going to school in Clyde, Texas. I have always been a caring person, always wanting to know what I could do to help others. Once I started massage therapy school, I knew I was exactly where God wanted me to be. I am so very grateful that I am able to help my clients everyday. I believe therapeutic massage is a body, mind, and soul experience. I love being able to assist clients with chronic pain, migraines, and other struggles to finally feel relief. 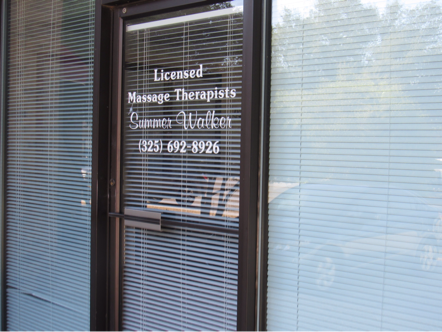 For more information, please email me at shwmassage@gmail.com or give me a call at (325)692-8926. Thank you!